Profound night sleep is essential to maintain a good quality of life. Sleep affects our well-being in many ways, including the mood. That’s why it is so important to feel relaxed and be able to get a sufficient rest every night. There is a discussion between recline lovers and those who prefer beds. There’s only one thing that can influence your choice – your unique preferences. Loungers are very comfortable, and they can be used for various purposes. First of all, they provide the best relaxation on a daily basis. You can watch TV, read a book or play video games. The armchair will decrease the pressure on your joints and let you rest after a long day. Secondly, every parent of a newborn knows how tiring it can be. 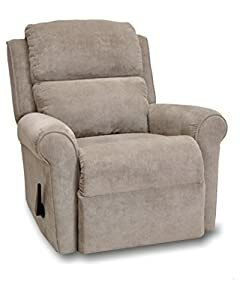 So getting a recliner in the nursery room might be a life changer for you. You will rest while nursing a baby. The rocker function allows keeping it asleep. And the mechanism should be silent, of course – consider this when picking a model. The third reason to buy a lounger is a sleeping disorder, such as apnea. Scientists have proven that the position you sleep in affects the quality of your rest. And with apnea, it is recommended to sleep in a seating position! So a lounger might help you out. It might have different leaning angles, so you can pick a 45-degree incline to get the best sleep. These items are beneficial for older adults or those recovering from surgeries. These powered products are helping you to get on your feet by lifting the seat. This function helps to prevent the unnecessary pressure on your knees and legs. Children will be happy to play with such an incredible piece of furniture! These items are soft, comfortable and fun. 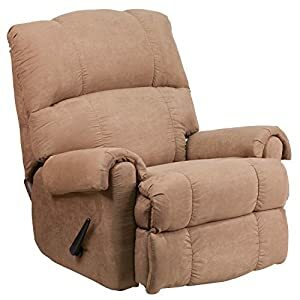 Best recliner chair reviews offer you various options as there are many features you might be interested in. The choice is so vast that it is easy to get lost. But don’t be afraid, I’m here to help you! If you are looking for an item for your child, the first thing you need to consider is safety. All elements should be safe for a kid. It is better to use more natural materials, such as cotton, leather or wood. But it is not the only option – synthetic fabrics are safe, too. Generally, pay attention to the steadiness of the mechanism and the longevity of the fabric used on the top of the item. It is also amazing to get anything that would be easy to clean. There are mostly two positions: the 45 degree-option and the complete leaning-back position. Some of the loungers, mainly the powered ones, provide you with an opportunity to customize the leaning angle. It means that when the chair is reclining, you can stop the process whenever you feel comfortable, and the lounger will hold the position. It is also a matter of preference. 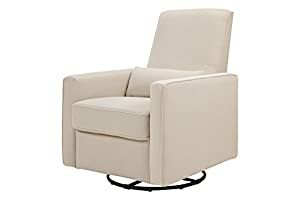 But if you are looking for a product to fit in the nursing room, I highly recommend the rocker feature. It is a specific motion mode that helps to get a baby to sleep. If you want the all-in-one product, don’t worry – some models have both characteristics on my list. It matters not only because you need to fit the item in the room. If you are a tall person, for instance, over 6 feet, you need to look for high or over-sized items. Then you can be sure that the head and legs will be both supported. Also, pay attention to the maximum weight capacity when choosing an item. Another thing you need to know about these things is the fact that they require extra space. So leave some room between them and the wall. The complete leaning might need up to 20-25” from the wall. And remember – the powered items should be plugged in. This is an excellent item that combines comfort with a wide variety of functions. If you are looking for making your leisure even more remarkable, then this item is what you need. It is made of excellent and lasting fabric that is nice to your skin – it is a combination of soft leather and polyurethane. The design of the item is thoughtfully made to meet the most sophisticated requirements. The seat is wide enough (it is 20” wide) to fit anyone, and the arms are cushioned. It has a rocker feature, which means that you can adjust the desirable leaning angle of the product. It gives a wide variety of operations, so feel free to experiment! The lounger is operated by a lever that is placed on the right side of the item. The movement is smooth and silent. This is amazing, mainly if you use this thing to nurse a child – a sudden and loud noise won’t wake it up. Another essential remark about this item is that it is extremely easy to clean. The fabric is maintained only with a damp cloth. The foam if flame-retardant and increases your personal protection. The back of the item and arms are padded; the piece provides support to your neck and ensures a complete relaxation. The seat is quite high (it is approximately 18” from the floor). This item has a perfect footrest feature that takes the pressure off your knees and lets you relax. The product is durable and reliable. Another fascinating characteristic is the effortless and straightforward assembly. You can do it in 15 minutes by yourself without any special tools; there are two pieces that are easily connected. The mechanism is trustworthy and made to last. 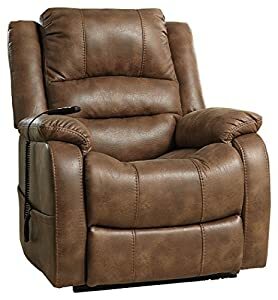 Among the top-rated leather recliners, this one is a fantastic option for anyone who is looking for relaxation. Well, this item might seem incredibly appealing to the ones craving for the massage feature! After all, there is nothing like a good massage after a long day to take all the pressure away. Apart from the beautiful design, this item can boast of the high-quality materials. The fantastic tan color of the product makes it perfect for almost any interior design – whether it is a living-room, a nursery or even an office. The massage works in its most typical zones – the back and the seat of the chair. The intensity of the service can be adjusted – there are high/low settings. Basically, there are two massage systems that will bring you ultimate joy and rest. You can turn each zone separately if you like. It is very comfortable to sleep while the massage is still in progress. The leaning is operated with a lever, which you can find on the right side of the item. The mechanism works easy as a breeze and provides no loud noise. The footrest pad is soft due to the padding, but it ensures the support for your knees and legs. You can let them enjoy the rest after a long and busy day. Each part of this beautiful thing is sewn-in, for instance, the cushions. It makes the product stable and comfortable, nothing slips or moves around. The triple stitching makes the back of the item cozy and perfect for anyone. The armchair is upholstered with a soft and lasting fabric that is easy to clean and maintain. Foam seating will make this product your favorite place in the living room! I’d like to mention that this particular item is also suitable for those who are over 6 feet tall. There is enough space to rest your legs and head. Please note that this product should be placed in approximately 15” from the wall for a complete leaning-back feature. To enable the massage feature you need to plug the chair in (electricity powers it). The first thing to notice about this model is that it is available in 11 different colors! If it is not what you call fancy, then I don’t know what this word means. You can pick the perfect color for your living room to match the whole design. The construction is proven to be cozy and reliable. The design seems simple, but it is made to ensure the maximum comfort of its users. The upholstering fabric is excellent and friendly-soft to your skin. It is also very lasting, and cleaning is not a problem, too. 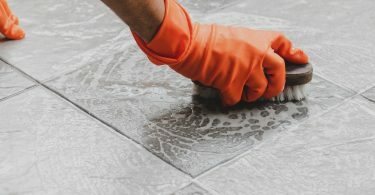 You can simply use any water-based cleaner to keep it tidy. The item has plush arms and back to support you and provide with a pleasant place to rest. You only need to pull the lever to lean back. The movement is smooth and easy. The product holds the desired position tightly. 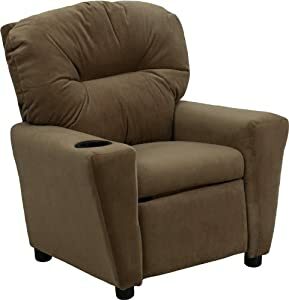 This item is terrific for watching TV, chilling or nursing a child as it has a rocker feature. You can place it anywhere inside the house to create a unique feeling of comfort. It is quite average-sized; the maximum weight capacity is 200 lbs. The position is easy and quick to change with a lever. Go from the upright position to an almost horizontal one in seconds! The seat size is 19.5,” and the height from the floor is 21”. Therefore, this product is suitable for almost everyone. One more fascinating touch – the footrest pad can be used separately, without leaning. You can position your back upright while taking the pressure away from your legs. The mechanism is quiet, smooth and reliable. There is no need for extensive pressure to move the lever. Everything works just awesome! There is a discussion around sleeping in a recliner vs bed. The choice is up to you, of course, but there are lots of advantages a lounger can boast of. It is soft and underlines the natural body position. It is also easy to adjust as the majority of the items are modifiable in reclining angle. 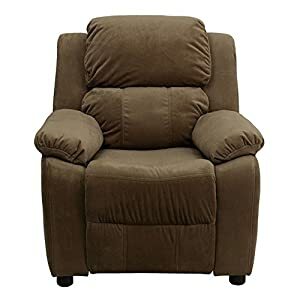 This is a well-designed item with horizontal stitching for the back support and coziness. The support construction is very stiff and sturdy, the mechanism is fascinating. But guess what you’ll notice first. It’s an unbelievably soft top fabric. It is so cozy… you won’t ever want to get up! Another special feature of this product is the powered lifting. The mechanism ensures a seamless powered lifting process. You can stop the device at any angle you want. This is probably the most customized reclining angle ever! But you’d better rely on your feelings and preferences and just stop it as soon as you feel comfortable. The seat is 22” wide, which is superb, and the weight limit is 300 lbs. The installation is pretty simple. You need to plug the chair in. There is also a slot for 9-volt batteries. The mechanism will use them in case of power loss. It is a backup source. This armchair isn’t too soft; it supports you and provides you with the relaxation. There is a side pocket for any belongings you might need. You can place a TV remote there, for instance. Don’t believe those who say you can’t get everything in one item. Sure, you can. This product is amazing when it comes to functionality. 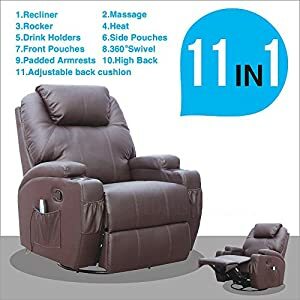 It is not a surprise that it is called 11-in-1. First of all, look at the design of the item – everything is right where it should be. There is no space waste, every part of this product works to make your life easier. Each arm has a cup holder – so you can safely enjoy your drink while relaxing. Even if you fall asleep, you won’t spill anything. There are also two front compartments on the product – you can place there any essentials you need. The side pouch is even larger! 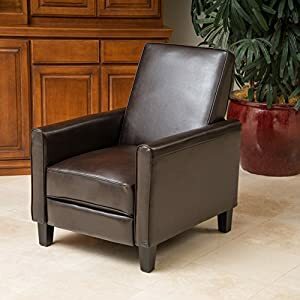 This armchair reclines in a seamless way and it has a rocker feature. That’s why it is excellent for a wide variety of purposes. There is even a massage function! There are 8 vibration points to choose from. And the heating feature makes it the most relaxing item on my list! The cushion on the back of the item is modifiable to fit any customer. It ensures the best neck and head support. If you are going to take a nap, adjust it to your needs, so your head is safely positioned. The armrests of the product are padded for the increased coziness. And if you are still not convinced, what would you say about a 360-degrees swivel? You can turn the chair all way around. This simple function makes it easy to maintain and to fit in any room. It supports your back, neck, lumbar, and legs. When such great features are successfully combined in one product, you can have a genuinely good sleep. Needless to say, the leather material makes this item very lasting and extremely simple in maintaining. The cleaning is a breeze! The product comes in two pieces that you are to assemble. But the whole process is intuitive and efortless. The armchair should be plugged in for massage and heating features. This item is as good as the best lazy boy recliner for sleeping. Beautiful and minimalistic design of this product makes it truly one of a kind. At first glance, you won’t even guess that this armchair hides the reclining feature. The simple forms of the item provide functionality together with trustworthiness. The upholstery fabric can boast about an exquisite cream color. It is very lasting and soft. The lever manages the leaning function. The lever is hidden right between the armrest and the seat. And this is precisely where you need it! The mechanism works like a clock; the movement is smooth and silent. You will be pleased to know that you can use the footrest separately from the back leaning. The footpad is pop-up and plush for your coziness. The support construction is produced from sturdy metal to provide the necessary steadiness of this thing. There is also an excellent function – you can swivel the chair to 360 degrees. This will help you to use it with no effort and fit it in the living room. This function gives the item extra mobility. 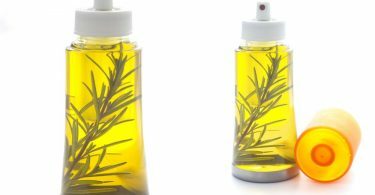 This product is suitable for those who want to take the pressure off their back. The back of the item is firm enough to support you. There is also a lumbar pillow for additional support. Taking a nap in this armchair feels just awesome! This product has been designed with a thought of a parent nursing a child. You can quickly make gliding motions forward and backward. While your baby is safely resting on your arms, you also get perfect back support and leg rest. The upholstering fabric is eco-friendly and entirely safe, it is completely free from chemical retardants. This is a stylish and functional option that goes for a reasonable price. 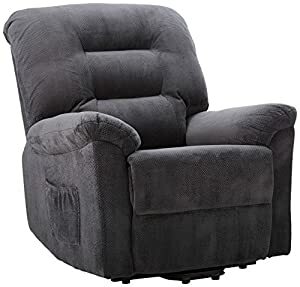 There is one main thing you need to know about recliners –most of them do require a space between the item and the wall. This space is used to perform the leaning. It might become a problem if your living-room is not very big or if it has plenty of furniture already. There is a way to maximize the efficiency of space use, though. For instance, this product can be placed inches from the wall and still perform the leaning feature smoothly. Now you don’t have to leave an enormous gap between the wall and the armchair for it to function correctly. It needs only 5 inches from the wall! It is approximately three times less than any other chair. But please note that this item is not a rocker. The mechanism of this item makes it recline almost to a flat position – getting ready for sleeping has never been so easy before. This position is super cozy and provides the natural body state while sleeping; therefore, you rest better and relax more. The armrests are rolled and cushioned; although this chair is not over-sized, there is plenty of space. The foam is gel-injected and ensures the unique seating experience. The lever is positioned on the right side of the thing. You can smoothly reach and operate it. You can clean the upholstering fabric with any water-free dry-cleaning agent. The maximum weight is 275 lbs. The seat is 20” wide and can host almost anyone. It is an excellent, sturdy and reliable option that suits any house. Looking for something steady and luxurious? This item might interest you. The first thing I noticed was its width and “roomy” nature. The armchair is soft and cozy – you will want to rest there for the whole day. Dark brown fabric makes it compatible with a classic and warm interior design. But Let’s dig into the functionality! This product is very advantageous because it can lean back but it also has a gliding feature. For safety purposes, the gliding motion works only when the chair is in the upright position. It is an over-sized product with extended armrests and seat. The measurements of the item are: 43″ x 40″ x 40″H. Therefore, it fits anyone and gives you enough space to comfortably stretch out. The upholstering fabric is unique in its softness. It is also easy to maintain. Of course, you will need to assemble the thing. But this process is easy and quick; there is no need for professional help. If you are looking for complete furniture set, you will be glad to know that there is a matching sofa available as well as the seat with console. So you can adorn the living room with purchasing just this set – it will be enough to decorate the space! 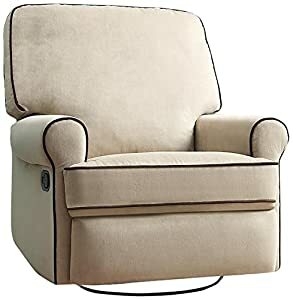 The armchair gives you the neck and back support. The leaning is almost in the flat position, so you can quickly take a nap or even sleep there. It holds the desired position well and tight. The whole thing is durable. The maximum weight is 300 lbs. There is also a rocking feature in this item. 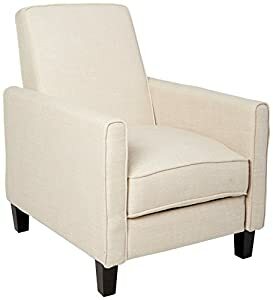 This club chair is easy to notice. It stands out with a stylish classic design with its simple forms. The upholstering material is natural and, therefore, friendly to your skin. There is nothing more safe and protective than the natural fabric. The construction is produced of wood to give you the feeling of the good old furniture. The use of natural materials makes this chair excellent for any living-room or office and is suitable for the nursing room. The construction is steady and reliable. The frame is substantial, and the feet are sturdy. Everything is a breeze! There is a foot pad and the leaning feature that work together. The item is not over-sized. The seat is 17.25” wide, which is smaller than the average one. Nevertheless, it is still suitable for most customers. With this armchair, you can feel entirely relaxed and stylish at the same time. Needless to say that due to the light beige design, it fits almost any interior. If you are somewhat limited in space, this option will work well for you. You can still rest and take a nap, but the space use will be minimal in comparison to other items. The armrests are high enough to help the nursing parents out. You will also be glad to find out that this product is extremely light – it is only 65 pounds! This adds lots of mobility – you can move it around from the living room to the nursing room without extreme efforts. The assembly is also amazingly simple – the item comes only in two pieces, so you should slide the back into the chair, and that’s it! Please note that you need to leave about 20” between the product and the wall for the complete leaning. The tilt back angle is 35 degrees. So this item is not fully horizontal. But this 35-degrees position is even better for a nap! In fact, there are two recline positions. This is another advantageous club chair option. It is perfect for small rooms or office spaces. The classic forms inspire the design of the item. The upholstering fabric is lasting and protective. 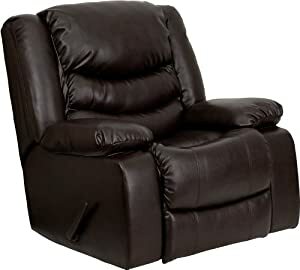 Real leather recliners are widely popular among the regular users. This item is quite compact and transportable. Therefore, you can quickly place it anywhere. The brown, rich color makes it suitable for wooden interior designs, for instance. The construction is minimalistic but very functional. First of all, the leaning feature includes the back and the footrest that consists of the two pads brought together. It supports legs and takes the pressure away from your knees like an angel. The seat is padded as well as the back and armrests. It is very comfortable and supportive. You can read a book, watch TV or take a nap in this chair – you will feel amazing in all circumstances. The construction is made of hardwood and is entirely safe for nursery. The bonded leather makes a remarkable upholstery. It looks amazing, and it is also very convenient to use. Maintaining and cleaning have never been so simple before! The seat of the chair is quite wide for such compact item – (22”). The fully reclined length is 61”, so consider this when picking the right spot for your chair. This item weighs only 60 lbs, but it is the lightest chair on my list. It has two leaning positions and holds them exceptionally well. You can use 45 degrees or a complete recline. You can sleep in this lounger so comfortably! The product comes in two pieces – the back-part snaps in the seat part. The whole installation will take you only 10 minutes. Recliners are not only used for naps and watching TV. They are also very advantageous for older adults, parents of the newborn and those who recover from surgery. Their primary goal is to take all the pressure away from the joints and provide utmost relaxation. This item is perfect for those who need additional support. It helps you to quickly get on your feet and reduce the joint pressure. It looks comfortable and pretty because it is exactly as it looks. The leaning mechanism is powered. Therefore, you don’t have to make any extra efforts. The dual motor lift makes this chair a fantastic option for anyone. The remote is well-placed in the side pouch, exactly where you need. Four buttons make the management easy and intuitive. Just one button will lift you, elevate the foot pad or recline. You can also recline just simply by a press-back motion. And this chair reclines all the way back – to a completely flat position. It can be used as extra sleeping space. You can take a nap or sleep there to feel more rested afterward. The back of the chair is extended and high enough to support head and neck. It also ensures lumbar support and back protection. The upholstering fabric is faux leather – it is lasting, cozy and effortless in maintenance. The leaning construction is made of metal. It supports the whole item and gives you the unique feeling of steadiness and stability. This armchair is over-sized and suitable for everyone. The height of the chair is 42.5,” – it is the highest item on my list. The seat is 20” wide. To make the assembly even more comfortable, the manufacturer provides you with all the tools and hardware needed. The weight limit is 300 lbs. Please note that the item should be plugged in to enable all functions. Among various sleeping chairs for the elderly, this one is probably the most awesome! This is a fascinating product, which is manufactured from top-rated materials. 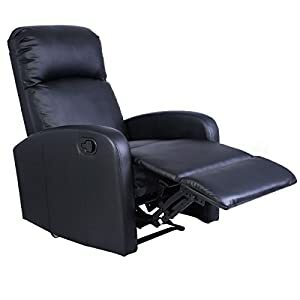 This is a beautiful black lounger with a wide functions’ variety. The construction is stable and made of metal to provide the best supporting ability. The manufacturer used thick padding to increase customer’s relaxation and relief from using this product. The seat and the back are remarkably soft and decrease the pressure on your neck and joints, releasing the muscle. This product lets you rest in the best possible way, ensuring the natural body position. The footpad is made of two foldable fractions. This is an awesome feature as you can customize it to your need and support your legs. This product fits any room and all purposes. The switch is located on the side of the thing and is very easy to reach. One simple move allows changing the position of the item. The maximum weight capacity is 250 lbs; the construction is extremely lasting. The whole item is well-made with a though of a comfort. It is equally good for both elderly and young customers. The seat is sewn-in to eliminate the slipping. The armrests are quite narrow and simple, but they support arms and are very useful. To recline the chair just use the push-back motion. It is simple and fast. The item holds position consistently, so it is safe to use. The chair goes to an almost completely flat position so you can sleep there. The upper fabric is eco-friendly leather that looks amazing and is very lasting. The manufacturer provides you with user-friendly instructions on assembly. Everything is in the scheme and has a number to it, you won’t miss a thing! Generally, this item is reliable and made to last. It fits perfectly in different rooms and requires not so much space as other things. It requires no plugging. To recline or to lift you use the button and the body movements. When you are choosing the lounger for kids, the first thing you need to pay attention to is safety. All the items on my list are made with the idea of protection and comfort. This particular product is amazing in its capabilities and stylish look. And the foam that fills the chair is fire-retardant to increase the protective abilities. It fits in the child’s room and is available in 6 various bright and rich colors. Generally, the color scheme of the kids’ loungers is more impressive than the adult ones. The seat is 12” wide and the height from the floor is 15” so it is easy for the kids to get into a chair. The fabric is remarkably soft and nice to the touch – your kid will love it! And you will be pleased to know that it is very lasting and easy to maintain. You can clean it with a damp cloth. Armrests are padded as nicely as the back and the seat – to ensure your comfort and natural body position. The package has additional headrest to take the pressure away from the neck and spine and give the child an opportunity to relax and sleep well. But what is really remarkable about this particular model is the storage space under armrests! The armrest cushions are lifted to give you the access to a storage space! There you can keep anything you need. For instance, your kid’s favorite toys, books, remotes or game controllers. The leaning feature works only when the kid is seated and the footpad is pulled out for 1” – this is a safety measure that eliminates health risks. This is another superb option for your child’s bedroom or living-room. This item is compact, steady and amazingly cozy. The manufacturer gives you a fascinating color variety to choose. All the items are bright to meet your kid’s preferences. The item is soft and nice to seat in – your child will feel amazing because there is an extra padding. The back part features a stitching line in between to decrease the pressure on the spine. The top fabric is microfiber – this is a lasting material that is safe for a child and easy to clean. It is important because kids usually create a mess. The right armrest has a deep cup holder. This is a great advantage as you can securely put a drink there. It secures the drink and makes it impossible to spill. Even if your child falls asleep, the cup will be positioned well. The frame is made of hardwood for steadiness. And also, this material is natural so it is safe for your child. The raised foot is made of the top-quality plastic. The lounger is created for a maximum 90 lbs weight. The foam used to fill it is fire- retardant, as the protection measures require. And this one has the same safety feature as the previous option. The leaning is not available unless your kid is seated and the foot pad is pulled 1” out. This item is decently made to keep your child safe and to serve you for a long time. 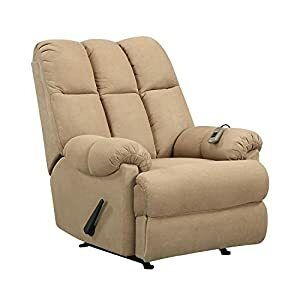 This is a glider lounger that provides you with unique comfort and softness. It is beautifully made to fit in both dark- and light-oriented interior designs. It looks simple and pretty with the doe color. The functionality of this chair is also superb. It is not only the glider. It also has a swivel option! This means that you can turn it around as you wish. And you can swivel and rock at the same time. How amazing is that! The upholstering fabric is easy to clean and very durable. The back part and the armrests are padded and nice to touch. The leaning mechanism is made of steady and lasting metal. It is operated with a lever placed on the side of the item. The movement is silent. Everything works smoothly; there are no abrupt or sudden motions. There are two positions available. The lounger holds them perfectly. There is a completely horizontal position for those who’d like to sleep on the lounger. The seat is about 20” wide. This is a perfect item that will serve you for years, giving the feeling of comfort and relief. You can take a nap, watch TV or rest your legs and back after a long day. There are lots of reasons why you should get a lounger. But the main one is that it is an unbelievably comfortable way to sleep or take a nap. The market offers a great variety of options and it is not a surprise – they are all good for different features. 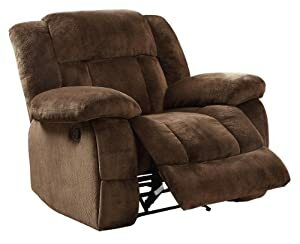 Best home furnishings recliner reviews are necessary to get the idea what to look for. Firstly, start with the person who you are buying the item for and, of course, the place in the house where you want to put it. Products with the rocker feature are perfect for nursing parents. They take the pressure off your joints and keep you relaxed. At the same time, rocking helps to keep the baby sleeping. Also, a high-quality canopy bed can provide a good rest for the back as well as a recliner. The elderly customers might be interested in a powered lifting option that allows not only sleeping but also helps with getting up. If you are suffering from the sleeping disorder, getting a lounger might change the whole game for you. Stop googling “sleeping in a recliner sleep apnea” and start your new life today! There so many ways in which a good rest can increase your well-being! There is no real reason to wait. I hope that this article helped you out and now you’ve picked the lounger according to your preferences. Please let me know in a comment section below which product you chose.